This Event has been read: 653 times. The simplest way to judge wine is to look at the bottle to see which one is empty first and although Quintessa winery has never scored 100 points in the Wine Spectator or Robert Parker’s Wine Advocate- we never had wine left in the bottle at the end of a Wine Watch event where we featured Quintessa! 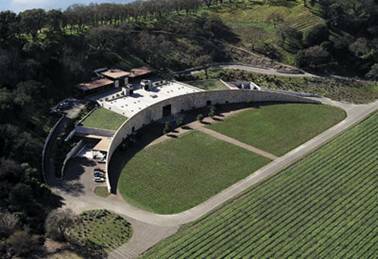 We have been following the handywork of Agustin Huneeus since his early days in his homeland Chile with the mammoth Concha y Toro winery and have been impressed by every one of his stops along the way turning around landmark Napa wineries like Franciscan Estates and Mount Veeder. His return to Chile produced some of the greatest wines that his homeland had ever offered with his Veramonte label and I will never forget the professional curtesy that I was offered when I just stopped in unannounced to see the winery in the Casablanca Valley. This was the most professionally ran winery that I visited during my stay and you could tell at this time they were just beginning to understand the hospitality part of the wine industry in Chile- but Veramonte was a winery ahead of its time. Huneeus flirted with getting bigger when they acquired the popular Prisoner label but decided to sell it and Veramonte to focus on making the best wines that are terroir driven, not manufactured to fit a niche in the market. They only focus on estate grown wines today that speak volumes about the place where they are from like the Flowers wines that we just tasted with our “Wine Drinking People” here at the wine bar with winemaker Chantal Forthun. Most Excellent juice!! Quintessa really speaks for itself as the property is not only incredibly beautiful but the wines are always among the best coming from Napa every year. 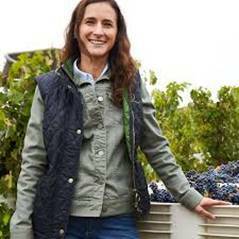 We have been lucky over the years to have hosted several tastings featuring the components that go into Quintessa and are happy to have winemaker Rebekah Wineburg here to present these single block wines and showcase the new release from this landmark Napa Valley winery. Our "Wine Drinking People" know that they always get extra at our events and tonight we have a few older vintage Quintessa wines we have thrown in from our collection to give you a perspective on how this great wine will age in your cellar. Join us as we welcome Rebekah to South Florida for an evening where you get to see how a winemaker blends the components that go into a great wine like Quintessa. The fee for this event is $175 + tax and this includes dinner, for reservations call 954-523-9463 or e-mail andy@winewatch.com. The 2017 Illumination is an elegant balance of exotic flavors, fresh acidity, and great texture. Aromas of guava, pink grapefruit and kiwi are intertwined with peach blossom and fresh thyme to create a lively bouquet. On the palate, the wine continues with flavors of white peach, lemon sorbet and a distinctively creamy texture that finishes with mouthwatering minerality. The Bench area lies next to the Napa River on the western border of the property. It is the lowest land on the Quintessa estate and is the most similar to the rest of Rutherford, consisting of dark brown gravelly clay loam that was deposited by the Napa River. Bench is also home to the tiny plot of Sauvignon Blanc that goes into our Illumination. Rocks and dirt: Clay loam, sand and gravel. History: Formed by deposits from the Napa River over the past several thousand years since the last ice age. Soil characteristics: Darker brown, with higher clay content and therefore slightly more available water and fertility. Most similar to other parts of Rutherford; vines tend to ripen later in this area due to cooler soils. Clay content also leads to more tannins in the wines. Wine characteristics: The wine shows a big, red-fruit nose typical of many Rutherford Cabernets. It has a full, rich entry with a full middle body, finishing with stronger tannins. Role in the Quintessa blend: Adds beautiful dark-fruit characters and density. The Eastern Hills are located at the foot of the Vaca Mountains, along the eastern side of our property that borders the Silverado Trail. They are primarily covered by white volcanic ash, much like parts of Howell Mountain and Pritchard Hill, all part of the Vaca range from which these materials originated. Mont Calisse is one of the smaller blocks on the property, with a sloping hillside that benefits from full afternoon sun and southwestern exposure. Rocks and dirt: White volcanic ash—rhyolite tuff, like that found in prized regions of Southern Italy. History: Formed 4 million to 8 million years ago as part of a series of volcanic eruptions named the Sonoma Volcanics. Soil characteristics: Very well drained, low clay and fertility, rich in silica; the roots of the vines can penetrate the bedrock more easily. Wine characteristics: Provides a nice perfume with a dose of black fruit and spice and in the mouth; it adds a good balance of structure, with suppleness. Role in the Quintessa blend: Adds beautiful lifted aromatics and supple tannins with elegance and finesse. The Central Hills—at the middle of the property, of course—are the most geologically complex, and are primarily covered by nut-brown sedimentary gravel and cobbles. These include rocks whose very diverse origins are a bit of a mystery, since these materials are not found in major quantities in the rest of Napa Valley until as far south as Carneros. Dragon’s Terrace is the largest block on the property, located at the center, overlooking Dragon’s Lake. It is a southwest-facing terraced hillside, so it is shaded in morning and gets a cool afternoon breeze. 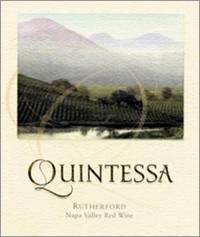 It is the only block on the property chosen every year for the Quintessa blend. Rocks and dirt: Deep gravel and cobbles on top of volcanic ash. Distinctive and diverse material such as red chert, sandstone, and volcanic rocks ranging from glassy black obsidian to white rhyolites. History: Deposited ~4 million years ago, from sediments that formed at the same time as the volcanic eruptions. It is a mystery how they made it to Quintessa, as it is limited almost exclusively to our property in Rutherford and not seen again until the hills of the Carneros AV, over 20 miles away. Soil characteristics: Nut-brown to reddish in color, iron rich, with slightly higher clay levels than the Eastern Hills; shallower soils are on the hilltops with heavier soils below, which affects overall fertility. Wine characteristics: Intense red and black fruit with ripe aromatics and floral notes. The palate is rich with a sweet, round middle and supple tannins at the finish. Role in the Quintessa blend: Increases complexity of aromas and flavors, and provides breadth and backbone. The Silver South block lies within the Eastern Hills section of the property. Like Mont Calisse, the soil is primarily white volcanic ash. Silver South is the block along the southern side of our driveway. Those of you who have visited Quintessa have undoubtedly seen this block. Wine characteristics: Provides a nice perfume of spiced plums and velvet tannins. Role in the Quintessa blend: Adds plum notes, juicy freshness and velvet mouthfeel. When founders Agustin and Valeria Huneeus first set eyes on the wild, 280-acre landscape that would become the Quintessa estate, they knew they had the opportunity to plant a vineyard for the ages. Located in Napa Valley’s Rutherford appellation, the Quintessa property includes diverse soils, rolling hills, shallow valleys, a river and a lake from which all water used to irrigate the property is drawn. Agustin and Valeria acquired the estate in 1989, when the land was pristine—never cultivated—recognizing that its unique range of soils, microclimates and exposures created by the varying topography could produce a red wine to rival the world’s best. The first vines were planted the same year that Agustin and Valeria bought the estate, and Quintessa yielded its first vintage in 1994. Agustin and Valeria were determined that Quintessa, the wine, would be reflective of the remarkable property from which it is sourced. Inspired by the beautiful and pristine land, Valeria set out to establish organic farming practices from the beginning, an entirely radical idea back in 1989, and incorporated the biodynamic farming philosophy in 1997. To best interpret and reflect the terroir, they selected grape varieties that would thrive in the site’s range of soils, microclimates and exposures, and planted 26 diverse vineyard blocks of Cabernet Sauvignon, Merlot, Cabernet Franc, Petit Verdot and Carménère. Each year, we produce only one wine from this diverse property. Quintessa has true terroir, meaning the style of the wine is a direct reflection of the property. The 280-acre estate currently has 160 acres planted. The vineyard is located in the heart of Rutherford, but its complex geological history provides this site with an incredible diversity. Only one section, the Bench block, resembles the majority of the Rutherford appellation from a climate and soil standpoint. The wines that we will taste will illustrate this diversity. Amid a relatively flat valley floor, the Quintessa site encompasses a cluster of small hills just west of the Vaca Mountain Range. These “toe hills,” as they are called, were formed millions of years ago when the range was uplifted to the point where it could no longer support itself, leading to a series of landslides. The massive amounts of rock and soil that slid down the mountain pushed up large mounds of earth on the valley floor, forming the “toes.” As a result, Quintessa is essentially a mountain vineyard on the valley floor. The elevation of vineyards at Quintessa range from 160 feet to 380 feet. Deep beneath these toe hills, the core of bedrock is volcanic, sprinkled with alluvial soils from various sources, providing incredible diversity and complexity in our vineyards. The distinctiveness of our site reveals itself in our wine, a single-vineyard blend of uncommon complexity and elegance. We have mapped the diversity of our vineyards virtually down to individual rows of vines, but telescoping up, the vineyard is divided into three distinct geological entities, each giving a specific character and nuance to the wine. Today, we will taste barrel samples from vineyard blocks located in each of the three areas: Eastern Hills, Central Hills and Bench. Quintessa the wine is more about interpreting the site’s expression than the individual varieties themselves. With so many different exposures, locations, soils, etc., we create many different wines that we blend into one wine that is the purest and most elegant interpretation of the property. Because Quintessa is not only a wine but a place, everything we do is focused on bringing about the best expression of the estate into one complex and layered wine. Our job is to work gently, to truly listen and understand the vineyard, to harvest fruit that is pure and perfectly ripe, and to elegantly extract the flavor with as little intervention as possible. To truly taste the terroir in the wine, we believe in what we call “making wine in the vineyard.” To do this, the first thing we do is understand the individual blocks and how they are showcasing themselves in this particular year. It involves a lot of walking through the vineyard over the entire year and understanding how the property is reacting to the season. The way we farm and the intentions and the respect that we put into the soil through our organic and biodynamic farming practices are revealed in a more soulful wine—a wine that is alive. Each year, the goal is to identify and accentuate the best character of the diverse blocks and to translate and blend those traits into a singular wine.